i’m not sure about racism in the world but in malaysia, i can understand why it still exists. malaysia is always said to be made up of three major races – malays, chinese and indians. yet not all these races are considered equal. we all call ourselves malaysians, no matter what we are, but some races get better opportunities than other races. it’s not like in the usa, where it doesn’t matter where you come from; as long as you have american citizenship, you are considered equal to everybody else in rights. CJ: So there’s still something of a class system in Malaysia then? Like people of a certain stature or race still get more of the opportunities? Unfortunately that doesn’t sound that different to the rest of the world… I know it’s still true for many Indigenous Australians. They have less access to facilities and jobs and their life expectancy is 17 years lower than the average Australian, which is unacceptable in modern society. Obviously the ideal system is like in the US… but it’s still theoretical, isn’t it? I mean, people have equal rights, but there’s still terrible racism against African Americans and Hurricane Katrina highlighted the growing social divide… the past seems to be carried over in most countries. Holy cow, cj, you take a few days off, and then you knock our socks off with this!!! I admire you for your bravery in exploring this issue as it’s so emotionally charged. I did see the film you mentioned. I found it somewhat quirky, but not disrespectful of Tokyo, as far as I can remember. It’s been a while—perhaps I’ll pick it up again and see. My extended family has a couple of Japanese-American members (we’re an interesting bunch) and I grew up in a mixed ethnic neighborhood, so I think I’d notice what Ms. Day means. She may have a few points, if the shower scene and the elevator scene are as reported. I don’t remember those images from the film. It seems she’s somewhat oversensitive, though. I think the film, with a few changes, could have been made in several other foreign countries—Russia, for instance. How often have Russians been portrayed in films as less than admired? Even, gosh help us, in Australia! You’ve mentioned before that you’re not exactly thrilled about how your countrypeople come off in Crocodile Dundee, an otherwise entertaining, if a bit vapid, film. Comedy has always relied on exaggerating stereotypes, and while Lost is not strictly a comedy it has many very funny moments. I don’t think the US is an “Empire” as Day suggests, and I do agree that the WWII internment camps were one of the least proud moments in our history. We have tried to move on. Some of my friends’ parents or grandparents were in those camps. A relative of mine (this one of German origin) was also interred–granted, for his political views rather than just for his origin, but he was an American citizen at the time. I visited with yet other relatives, retired in Florida, who introduced me to the older neighbor who lived in the flat above. As we shook hands, I noticed a long number tattooed on his arm, and I was momentarily taken aback by the implications of this. Many cultures have created an “us vs. them” mentality. I grew up in a family that had been very committed to the US civil rights movement (from the 60s). I remember feeling incredulous when my parents told me that certain kinds of people were treated differently from others based solely upon their outward appearance and/or culture. I thank all gods, universal forces, or whatever is out there daily that I grew up in a culture that celebrated diversity!!! I meet all kinds of people these days who didn’t grow up that way, and it troubles me. Some comments I’ve heard are the following: “It’s weird to listen to black people speak with a British accent.” —from someone I thought was a friend…and probably still is…I dunno, should I censor my friendships? This was after seeing a British-produced film. Another friend, after watching the first season of Dancing With The Stars: “I thought Jerry Rice would be an excellent dancer, because he’s… (I mentally filled in “an athlete” here) black!” OMG. And yet, this is a friend. I think. What to do? Another (this time former) friend said to me, “well, you know how you talk about Jews” Hunh? What’s THAT supposed to mean? I went all prickly and unpleasant, and gleaned from this person that she valued people based on how she ranked their commitment to Christianity. Let’s just say, I was no longer on her “approved” list. OK, what to do about all this? I think, #1, be aware. The tests you mentioned are ones I’ve come across before, and it’s nearly impossible to take them without realising one has some racial, gender, or sexual orientation bias. I’d like to see those tests used not to make us feel badly about ourselves, though, but as a reality check. #2, then, would be to actively put into our consciousness the desire to dissolve the biases we culturally embrace. Now that I’ve read your post, and discovered it’s triggered all sort of emotions in me, I can then move on to imagining how I’d like to feel, how I’d like society to be, and to hold those things as ideals in my daily thoughts and actions. What is it about some of your posts that’s so darned provocative? Well, you’ve got me thinking, as usual, and I appreciate that, even though it all allowed me to feel a bit uncomfortable. And, very tricky how you can get certain individuals to write a whole post’s-worth of material in YOUR comment box. Humph! CJ: Thanks for such a wonderful comment, Muse! You’ve really made me think. I know that some of my posts can inspire people to say a lot and I always appreciate it when people take the time to offer a considered reply. It adds to the discussion and the comments have really taken this post in a new direction. I agree about Lost in Translation. It’s a quirky film and Kiku Day has a point about some things. The shower scene is definitely wrong as the hotel is Westernised but I’m still not sure about the elevator scene. I took that as a reflection of the way Murray’s character sees Tokyo at the beginning of the film; as he sees more of Tokyo, that perception drops away… but maybe I’m seeing too much into it. I think there is a difference between racism and playing to stereotype, though, and I guess that’s where I disagree with Day. Your extended family sound fascinating! I know you’ve said a few times that your family is very multicultural; it must have been interesting growing up, absorbing that diversity… we have friends here who’s parents lost loved ones in Auschwitz. It’s stunning when you realise what people have been through on all sides, and how they’re still treated. Being aware seems a good place to start to make a difference; the problem is, how do people become aware? Is it something you teach or something that people wake up to? Perhaps the best hope is with younger generations; if they’re brought up to respect diversity then perhaps bigotry won’t have as much of a place in society… of course that still requires us to be aware first to teach them, though, doesn’t it? Perhaps that’s where the tests come in. I’ve taken them a couple of times and you’re right, it’s impossible to take them without revealing some kind of bias. I think they’re useful as an exercise but I think they have as much to do with hand-eye coordination as perceived bias! Using them as a reality check, though, makes sense. They don’t have to be accurate then, just enough to make us think about it. And if I’m more aware, then I’m more likely to try to change the way I look at racism… perhaps that’s the only way real change will come about. Thanks for your thoughts, Muse. You’ve given me some ideas for future posts, and I might do another post on racism for the Bloggers Unite Day next month… I think as long as we stand up against racism in our own lives, challenge it even when its difficult, then at least we’re trying to make a difference. And perhaps that’s where it starts. I tried to take the test but it didn’t make sense to me – so I ditched it. As to racism – I think part of the problem is that people often perceive being offended as the same as racism, when in fact, it isn’t. And unfortunately there are t hose who have a vested interest in ensuring that racism or the perception of same lives and continues to live. While making fun of stereotypes may not be nice it is also not racism, IMHO. It is just tacky humor. But humor is about being able to laugh about things and if a person is so sensitive that every joke that might even remotely aim in that direction opts to take it that way then I think they are part of the problem too. All that aside I think this problem and possibly many other problems in the world would be solved if people stopped seeing things and life as scarce. If people would focus on their abundance (no matter how humble) that abundance would grow and they would be happier. Instead people focus on what they do not have, cannot get or envy in others. What ever a person focuses on is what they will get. This reviewer was clearly focused on racism and so of course she saw it in the film and perhaps sees it every day in every aspect of life. CJ: It’s a tricky test, isn’t it, WC? The first time I messed up and took it again; I think it measures your reflexes as much as your biases, so it’s an interesting exercise but I’m not sure how accurate it is overall. I like your point about how we perceive racism. Race has become such a loaded issue that everyone is sensitive to it and it’s easy to misconstrue something as being racist. I remember a story about George Bush talking about Barack Obama, saying he was articulate and attractive. For some reason Obama’s supporters thought it was offensive and condescending; all I saw was Bush paying Obama a compliment and it was hardly racist. I’m sure scarcity plays a part in all forms of bigotry. Many social groups who suffer racial attacks are often of lower incomes and that in particular makes them targets. I think the problem isn’t just that we don’t focus on what we have (although wouldn’t that make a difference!) but that we learn the behaviour; if we’re exposed to racism, we begin to expect it, and if we’re poor, we continue to follow the same pattern. The only way to better ourselves is to change our outlook; in that way valuing life and what we have, rather than what we want, would make a huge difference. It is impossible to ‘delete’ racism from our thought/vocabulary as much as it is to delete ‘colour’ from our sight. Everyone ‘judges’ . I think it hypocritcal to ‘pretend’ we only SEE one way. Better to embrace human diversity, acknowledge it, ACCEPT it, instead of getting all ‘neurotic’ about it. Invariably, from my p.o.v., the ‘issue’ is more about ‘class’ and/or ‘money/status’ and ‘success’. Yet, these are also ONLY thoughts about one particular ‘currently acceptable’ ‘philosophy’ of life. Gentle monks are not hardened capitalists. War mongers are not tree huggers … Whores are not virgins. etc. etc. None, fortunately, are writ in STONE. We ALL evolve, change, mutate and BECOME. Choosing HOW to live is what matters most. CJ: Hi canadada, thanks for sharing your thoughts. I know what you mean about deleting racism; most of our thoughts are primal, instinctive, and it’s not something we can erase like that. I know I hate it when someone says that they’re not prejudiced, only to go on to say something awful. That’s partly what I mean by saying we need to change the way we look at racism. We’re still stuck with this 20th century idea of what racism is and unless we accept that it’s a part of us, nothing is going to change. I’m not sure that everyone does “judge”, though. Just because there’s a conditioning that predisposes you to look at the world in a certain way doesn’t mean you will; factors like your environment, belief system, and personal experiences shape your world view just as much. I was brought up in a white, middle-class working environment and don’t feel like I treat people any less fairly if they come from a different background. In fact many of my friends come from different backgrounds. But definitely social economics and status play a major role in discrimination. It’s much easier to look down on someone if they’re making less money than us – and easier to think we know what’s best for them. That’s the main reason policies like gentrification worry me; who’s to say that one group of people really knows what’s best for an entire community? In the end you’re right, it’s choosing how we live that matters the most; choosing to value other people, to do good in our lives. That’s a code I’d be proud to live by. 😉 Thanks for stopping by. I have never seen Lost in Translation, and I think if that review had been the first I’d heard of it, it would put me off ever watching it. However, I find it hard to believe that the film would have been as otherwise well received as it was if it had been truly that offensive. I think people usually fail to make a distinction between racist humour and humour that pokes fun at cultural differences, and I think the distinction is important. For example, the jokes Ms Day describes about height in an elevator or in the shower do sound rather racist, but I don’t think jokes about Japanese people confusing “l”s and “r”s when speaking English are racist, because it’s not about any specific racial stereotype, but a linguistic difference. Have you tried reading English in katakana? It’s really difficult to decifer, and it’s hardly surprising that some people get muddled. And sometimes the results do sound kind of amusing. I was rather shocked by that experiment in the documentary. It just goes to show how deeply racism is ingrained into Western culture. I think that that is very alarming. CJ: I really liked Lost in Translation and that’s one of the reasons why the review puzzled me; I can understand someone not enjoying it but you’d think a review that harsh would have stopped quite a few people from seeing it. And 4 years later it’s still listed on the film’s Wikipedia page, so it must have raised a few eyebrows. I agree there’s a difference between racist humour and cultural humour, but I’m not sure if anyone really knows what’s acceptable and what goes too far. I mean, I’m a huge fan of Fawlty Towers but some of the jokes make me cringe now, particularly during the German episode. I don’t think it’s racist but I wonder if that episode would still be funny if it was made today? Or perhaps that’s where cultural humour comes in more. I don’t think it’s insensitive to spoof something about a country (like our kangaroos or ls and rs), but if it’s about a particular stereotype then it crosses a line. That documentary is very disturbing, isn’t it? It just shows that we think we’re past a lot of these issues but for many people, they live with them every day. Kiri Davis is going to have quite a future if she can keep making documentaries like that. While I don’t like the movie Lost in Translation, I can sort of identify how the characters feel with their isolation. While I may have a Puerto Rican heritage, living on this island is something completely different. And as far as culture stands, I’m very American… and in the past decade I’ve come to learn what that means, how that puts me apart and often leads to certain mockery and ridicule. On my blog I sometimes talk about this, with a lot of humor, how what would deem so necessary and common for me, just can’t be found on this island. And it was also seen how people came around to attack me for my supposed arrogance. It’s a culture clash and because PR is a colony, it’s the bad kind. I’m part of the oppressors and the oppressed. How’s that for screwed up? While in PR I cannot say there is a racist culture, persay.. afterall, our lineage is a mixed up mutt race where we have literally a little bit of every nationality due to conquests, power struggles, etc, there are a lot of black/white comments that are used in everyday language. To the outsider, it would be outrageous that these things would be said. To us here, since everyone has plenty of the other, it’s never taken seriously. As a hispanic person in general, I never could identify with the way people portrayed them in movies and television. I lived in NY half my life, where most of the population in my area were Asian. Even now, as people see my pictures and comment on them, I hear things like “exotic” and I wonder why they say them. It’s not a bad thing, but apparently because I’m not all pale (but only because I live somewhere that I tan even in the shade) and I’ve got the plump and full features of my heritage, that’s just what I am. Yet, at the same time… I remember as a child how I longed to find a doll that could look just like me (and I’m not talking merely plus sized, I’ll leave that rant for another post). As a little girl with nearly black hair, nearly black eyes and very pale skin… I never did find that doll. Dark features went with dark skin. Even the dark hair went with lighter colored eyes, even sometimes with freckles. Dolls of hispanic representation had the dark eyes but lighter brown hair. So I often pleaded for the darling black doll. My mother found it odd but always complied when gifting me them. That’s interesting about PR. So because the nationalities are so mixed, the language has evolved to reflect the cultural landscape? That would definitely make your interactions unique. It’s happened a bit here as well; our convict lineage, history of emigration and indigenous population has created a mixed landscape, particularly with our language. Things we say to each other are often misunderstood by other people but mean nothing to us. I don’t know. I took the test from Harvard. I took two tests measuring attitudes to race, and I received two results that seem contradictory. The first test said that I showed a moderate preference for light skin over dark skin. The second test said the opposite, that I showed a slight preference for African Americans over European Americans. In any case, I think that once racism or any kind of bias has become entrenched in a culture it is very difficult to stamp out because it is being passed down from generation to generation, in some ways unconsciously. I’ve made another observation about my own culture, though, which is that race issues and economic issues are often seen as going hand in hand. This makes sense in some ways, since due to the historical treatment of certain races in the U.S. there is a higher percentage of lower income people belonging to racial minorities. On the other hand, sometimes this skews the issues so that it’s assumed that all white Americans are rich or middle class and that all black Americans are poor. For instace, many American comedians attempt to make jokes about the differences they see between white Americans and black americans. Often you could simply exchange the terms wealthy and poor for white and black and come out with the same jokes because that’s the real difference they’re discussing. CJ: Hi KS. I know what you mean about the test; I’ve taken it a couple of times and my results were consistent but it’s so reflex-oriented that I can see how it might come up with different results. I think it’s useful but unless it’s performed in a controlled environment, I’m not sure how accurate it is. One of the biggest problems we have with racism is that it’s a learned behaviour; people who practice racism continue to do it, and people who have been exposed to it learn to expect it. When that kind of behaviour becomes ingrained in us it makes it very difficult to overcome; it becomes part of the culture, and the cycle continues. Unless we can break that cycle and learn to look at racism differently, I doubt anything will change. While I wouldn’t rate “Lost in Translation” as my favorite – I wouldn’t call it racist either. I actually felt like beating up Scarlett J’s character for not taking charge of her life – being an emancipated alpha woman, I couldn’t forgive her 😀 Bill Murray was fantastic though. Perhaps the depiction of Japan wasn’t realistic enough, I don’t know – but that isn’t the same as racism. The film simply portrays Tokyo as it appears to the main characters – who don’t have an in-depth understanding of Japanese culture & way of life. Racism is alive & thriving, especially in the developing countries. I live in India, which still follows the caste system. The caste system is loosely based on race – with Brahmins on top & the indigenous tribes (who were subjugated) are “untouchables”. Emphasis on that has come down a lot these days, especially in the cities. The brahmins have more Central Asian blood than most, especially in South India. As a brahmin myself, I feel deep shame & guilt for what my ancestors did. Perhaps that’s what most white Christians feel in the US & Australia. CJ: I’ll give you that about Johansson’s character; she is rather annoying, particularly at the beginning! Supposedly Coppola based some of the character on herself, so maybe she was meant to be more observing and analytical of everything… I guess that’s what directors do? It could be that about Tokyo. My feeling watching the film was that the Japan we see at the beginning is something of a caricature because of how alienated the characters feel at that time; like the scene in the elevator, I’m not sure if Murray’s character was meant to be that tall, as in other scenes, once he has seen more of Tokyo and is less isolated, it’s not like that at all. I took it more as a storytelling element, which is why I thought the film was well crafted… Tokyo might not have been depicted realistically, but as you say, I don’t see how that’s racist either. I’m sorry to hear that about India. I had hoped that things might have started to improve after so long but I can imagine how difficult change must be, particularly when feelings like race and superiority reach so far. It’s like that in Australia as well. I’m ashamed of the way our governments have treated Aboriginals over many years; communities consistently have an increased mortality rate and less opportunities for healthcare, welfare, education and jobs, and that’s not even getting into past policies of taking children from their parents… perhaps the greatest duty of my generation is to find a way forward and express how sorry we truly are. In the end I think ignorance is the true cause of racism. It’s much harder to hate someone if you know them, if you know their history, their culture, their life… perhaps until people are willing to truly learn and embrace different cultures, then racism will always be a part of our lives. If that’s the case then making a difference, one person at a time, is the most important thing we can do. 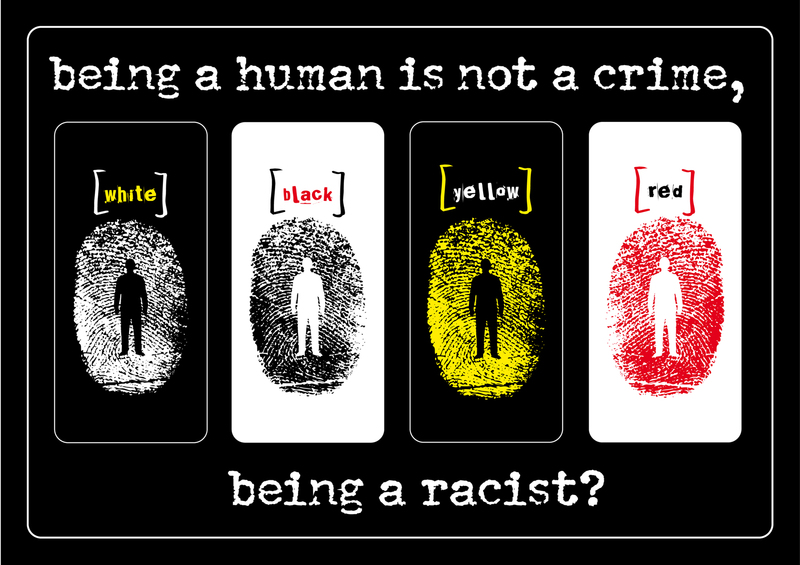 i agree that racism is a crime. i dont understand why people do it.mast of the time racism makes no sence. I go to GEMS (Gosforth East Middle School)and am in year 8, and half of the kids there are racist. one of my best friends is black, and shes really kind. there are only 38 people who think racism for the sake of racism, is a load of b-s! Sometimes I get depresed, dissappointed that racism still exists in this world. I would have hoped that the world would have been rational enough to realise that the colour of our skin does not dictate our behaviour or intelligence. But at least there is some hope, I am coming across people everyday who shatter racial stereo types and eventually those who are racist will be reduced to an insignificant minority. I realise this article is a bit old, but I started searching for opinions after I watched part of the film last night. I say -part- of the film because I literally could not watch more than half of it. I was cringing the whole way through it. Being half Japanese I was incredibly offended on multiple occasions. I found a very good article which pretty much sums up my feelings towards it. I felt humiliated. I felt as if the film made fun of Japanese people, and being Japanese, I felt as if people were making fun of me. I don’t believe Coppola was being malicious, but I feel as if the film is a perfect example of the eurocentric lens in which many white people view the world. I don’t think she was trying to be racist, but I do think her ignorance of the Japanese culture is extremely evident. I don’t agree with some of the articles I have read about the movie being completely terrible. Despite the racist elements, there are many excellent features in the film. The racism does not subtract from the brilliant acting, soundtrack and the eerily convincing sense of isolation it creates however I do think it is important for people to realise how and why it may be considered offensive to Japanese people, or to non-whites in general.